One thing we learn quickly about pervasively dishonest people is that we can’t trust them or anything they say or do at all. The moment they speak or act, our guards go up and our minds start questioning how far from the facts – if there are even actual facts involved – they are straying or whether their words and actions are pure confabulation and never happened at all. When pervasively dishonest people are in leadership positions, the impacts on their teams are profound and devastating, not just to the teams, but ultimately to the larger groups and organizations in which these teams exist. What do these impacts look like in practical terms? When team leaders are pervasively dishonest, they create an atmosphere of mistrust, not just of themselves, but among members of their teams as well. In short, no one trusts anyone about anything. A lack of trust destroys the cohesion and collaborative efforts of teams. Where you find teams in disarray, with people constantly undermining each other, fighting with each other, and trying to destroy each other (in work being done, in character, and even in remaining a member of the team), a lack of trust, created by the pervasive dishonesty of team leaders, is the root cause. Pervasive dishonesty in people in leadership positions also creates confusion and uncertainty among their teams. This is because pervasive dishonesty manifests itself in false information, misleading information, and constantly-changing information. Because pervasively dishonest people lie as a habit, they have an impossible time keeping pace with the lies they’ve told, so new and different lies emerge to replace the old ones each time they speak and act. As a result, teams end up with fluid information, with new information often completely at odds with or the exact opposite of previous information, leaving the teams with no idea what is right or wrong or what they are actually supposed to do. The impacts of these reactions by teams to a team leader who is pervasively dishonest is first absolute chaos and, ultimately, failure. If by some miracle the teams complete what they’ve been given to do, the final products are disasters. They are sloppy, inconsistent, riddled with errors and things that don’t work, and the things that might work don’t all work the same way. Often, the finished products don’t even match the original specifications that were given as the frameworks within which the products were supposed to be built. When customers get these messes – and they will be messes – the organizations will suffer both in reputation and in viability. In short, this is the beginning of how many organizations end up imploding in failure, with no even ashes left to rise from and begin again. Pervasive dishonesty seems to be much more common – and accepted as normal behavior – among our species. 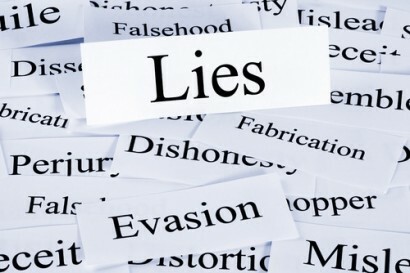 White lies, fiblets, compassionate deception, and therapeutic lying are among the types of dishonesty that are pervasive among the general population and are embraced as being good and acceptable. For those of us who are striving to become quintessential leaders, it is imperative that we never go down the path of not only believing this, which is itself dishonest, but actively doing it as a matter of course in our lives. Building trust and being trustworthy is a primary key to becoming a quintessential leader, and one of the traits that builds trust and makes us trustworthy is unwavering honesty in all that we say and do. Nothing less is acceptable. Another good post my friend. I how encountered a lot of people who could not see the truth if you hit them in the head with a brick. I doubt that they are dumb, I think they are probably lazy and stubborn, and always want their way. Thank you, Liz. The kind of dishonesty that I’m discussing here is a lifelong habit of lying and not just refusing to see the truth right in front of them. This is conscious and practiced deception. After a while, though, the lies they’ve spent a lifetime telling become their truth, although you’ll rarely ever hear exactly the same version of it twice.